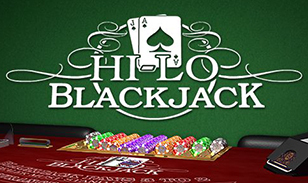 Blackjack is one of the most popular casino table games that are played around the world. With the advent of online casinos, developers have come up with new and unique variations of this game. Multihand Blackjack is one such unique variant with multiple hands where you can win. The game has high-quality graphics with professional green table area. There are amazing music tracks with five tracks to choose from. The jazz oriented music creates a perfect casino like atmosphere. You can even choose the game speed from 1 to 10. The betting range here begins at £1 per hand and maximum is set at £500 a turn. 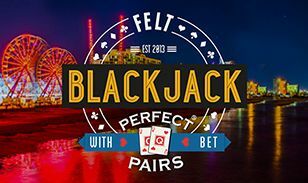 The developer of this unique multi hand enabled Blackjack game is NetEnt, an innovative casino game supplier for online platforms. With years of experience and skills in various game building techniques, they have managed to become one of the top five developers in the world. Multihand Blackjack is played with three individual hands which mean you can stand a chance to win three games in one go. Your aim is still to beat the dealer without going beyond point limit of 21. If you manage to do so, you can win with a payout of 100% on your bet. If you win with a blackjack hand then the pay is three to two and two to one if you win the insurance. Between you and the dealer, who ever exceed 21 will lose the hand. In case dealer gets a BUST, you win all three hands instantly. This is one of the key benefits of this variant of Blackjack. Double Down: This is a feature that is enabled when the total of your first two cards is seven or more. In such cases, you can double your bet amount on all hands where the option is enabled. You can only draw one more card after you opt for this feature. Split Hands: In Multihand Blackjack, when the first two cards of a hand have identical values, this feature will be active. You can split all such hands into two and the split hands will receive a second card each. So apart from three main hands, you will have an opportunity to play additional hands with this feature and win more. With three main hands to win from, Multihand Blackjack is definitely the most rewarding game. You can easily expect to make huge profits within just a few hours of gameplay here.